Kyle Savitch calls New York home. 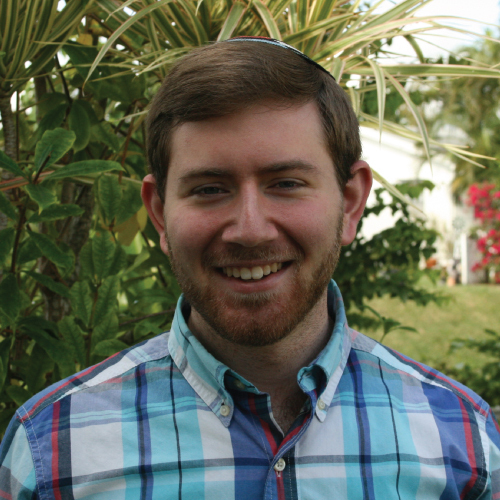 After graduating from the University of Rochester, he was inspired to come to Chovevei out of a desire to further his Jewish learning and serve the Jewish community. Kyle loves hiking, especially when it’s in Israel, and climbing. He most enjoys learning Masechet Brachot as it was the first masechet of Talmud he had the opportunity to learn. It is a constant reminder of how far he has come in his learning and of room for future growth.